Bring your four-legged pal to Bark Avenue Boutique for the ultimate pet grooming in Monroe, MI. Pamper your pet with a day of grooming and luxury shopping at Bark Avenue Boutique in Monroe, MI. Take your pet to Bark Avenue Boutique in Monroe, MI for accessories, fun toys, and adorable clothing. 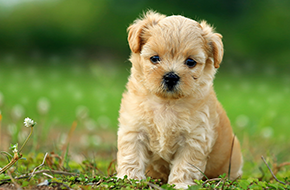 Is your pooch a little scruffy? Then it is time for a day of beauty. At Bark Avenue Boutique in Monroe, MI, we believe that pets deserve pampering. We are a grooming boutique dedicated to providing high quality services for affordable rates. Once your pet is looking beautiful, you can take some time to browse our boutique area for new clothing and treats. From the moment you walk through the doors, you will notice how passionate we are about animals. Our genuine care for your pets is evident in the way we handle and interact with them. We take pride in caring for the fussiest dogs and making the grooming experience one they happily look forward to. Bark Avenue Boutique provides full service grooming for dogs. From bathing to grooming, to trimming nails, cleaning teeth and ears, we do it all. We welcome all dogs and strive to treat your pet like family. 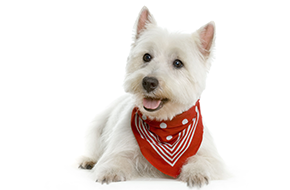 We are experienced working with pets of all sizes and shapes and have groomed many elderly and special needs pets. Once groomed, many owners reward their pets with a trip to our pet boutique for a new toy or treat. Check out our fun leashes and collars, or purchase a new coat or dress for your cutie. We sell carriers, cages, and other accessories. 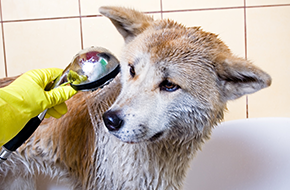 Regular grooming and maintenance is crucial to the wellbeing of your furry friends. Bark Avenue Boutique provides exceptional grooming services lovingly delivered by qualified and experienced pros. If you need new toys, treats, pet accessories, or clothing, browse our shop. Pets are, of course, always welcome. Stop by Bark Avenue Boutique today!